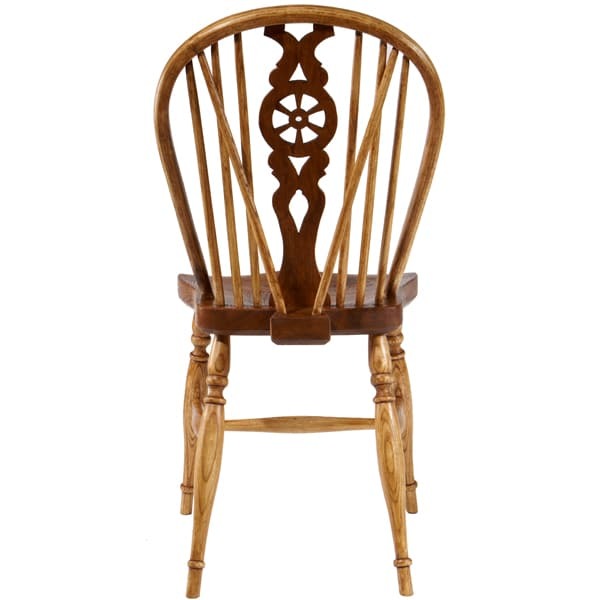 Ask a non-chairmaker in England to describe a Windsor chair and the chances are that they will picture a wheelback chair in their minds. 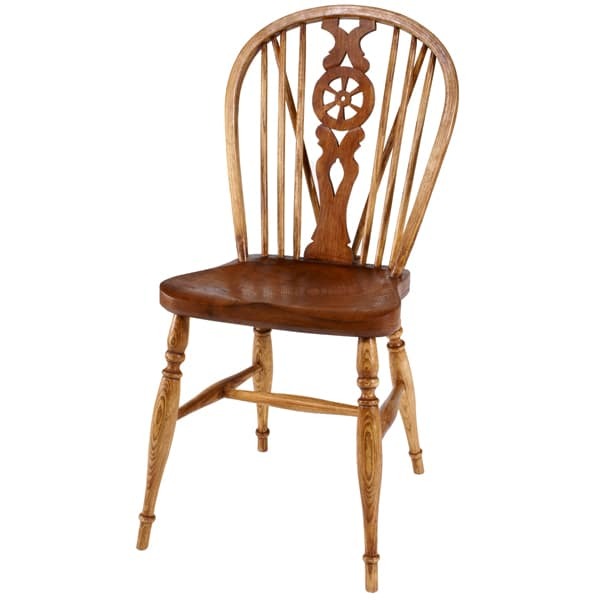 The distinctive wheel motif in the splat was a Victorian development and was adopted by many English chair makers. These chairs were exported around the world. Double-bow armchairs were usually paired with the side chairs to make a set. 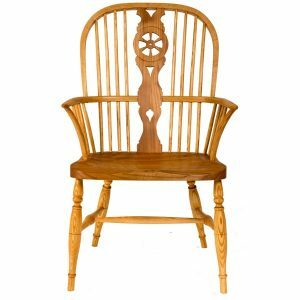 The wheelback side chair pictured is made from ash with an elm seat and cherry splat. It is a compact, sturdy and comfortable chair. The two bracing spindles inserted into the beaver tail at the back of the seat are not essential and can be left out with no ill effect. They were added to enhance the value of the chairs. 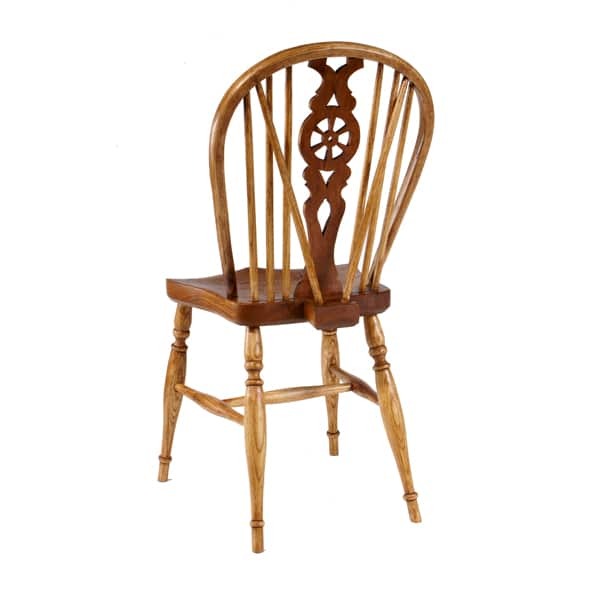 They stiffen the back and many consider the chairs to be more comfortable if there is a little spring in the back. The spindles are usually turned or made using rounders, although shaving them with a drawknife and spokeshave is quite satisfactory. The splat is cut out with a fret saw. 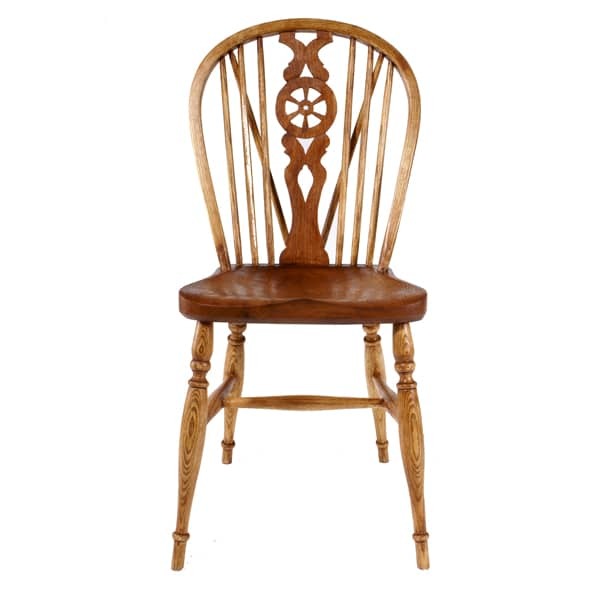 The wheelback side chair shown has been made by James Mursell of The Windsor Workshop in Sussex, England.